Welcome home to low maintenance living at its best in this sunny and bright Chamber's Ridge townhome. 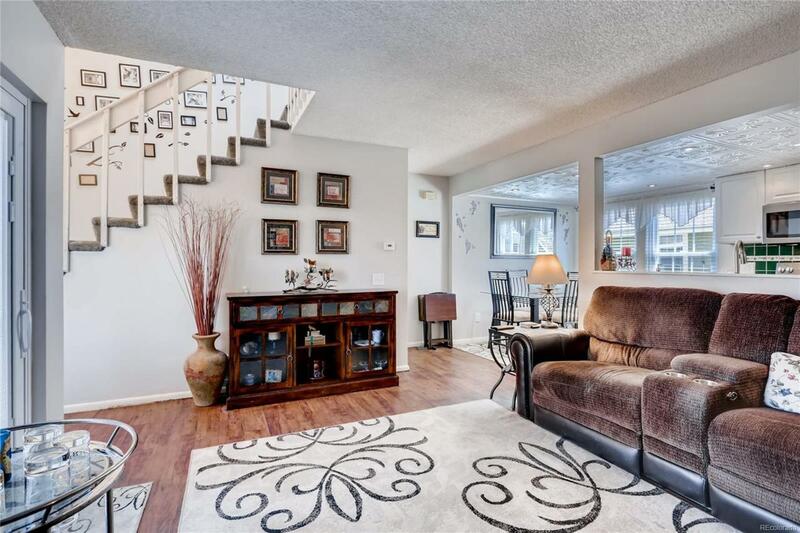 Upon entry, you are greeted by a striking foyer with lofty vaulted ceilings. Lovely new vinyl plank wood look flooring runs throughout the open main level. 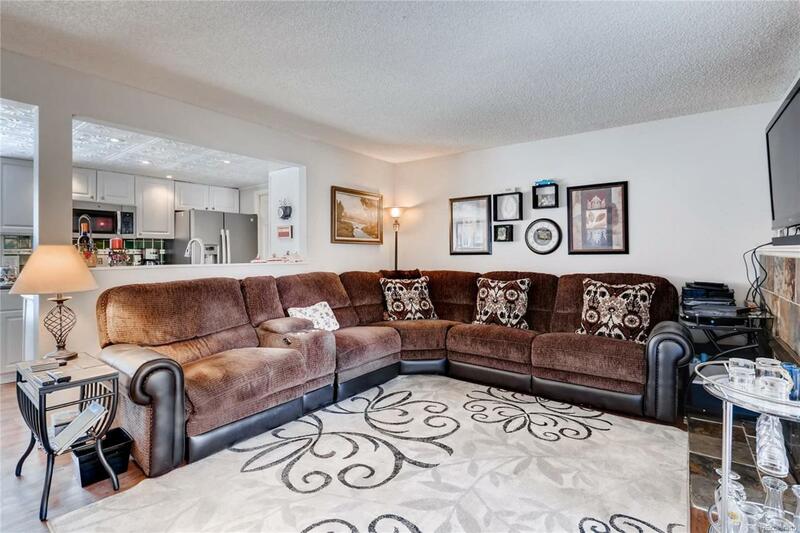 Inviting living room has a cozy gas fireplace with a tile surround and sliding door access to the patio. 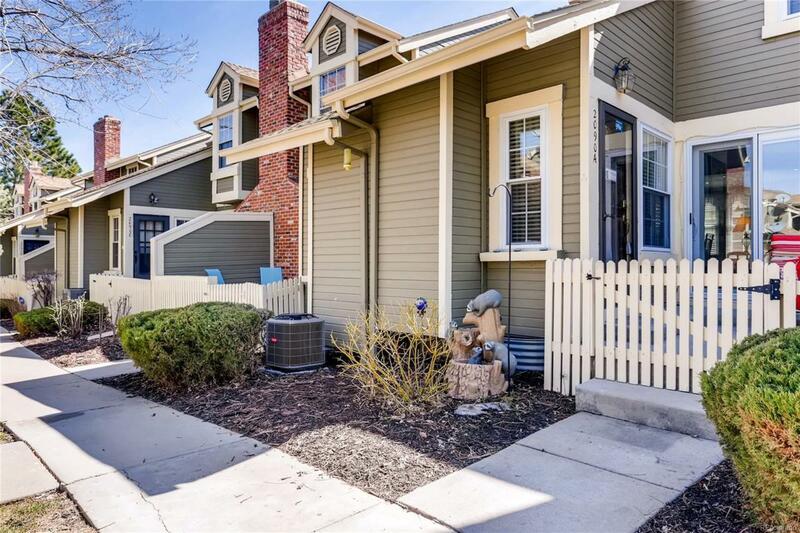 Fenced private patio overlooks a green belt and is the perfect place to enjoy Colorado's sunshine. Charming decorative tiled ceilings in the dining room and kitchen add character to the home. Updated kitchen features a tile backsplash, fresh white cabinets, stainless steel appliances & a pantry. Upstairs are both bedrooms, a laundry closet, and a full bathroom. Additional updates to the home include new windows throughout the home, new A/C, & recessed lighting in the kitchen and dining rooms. 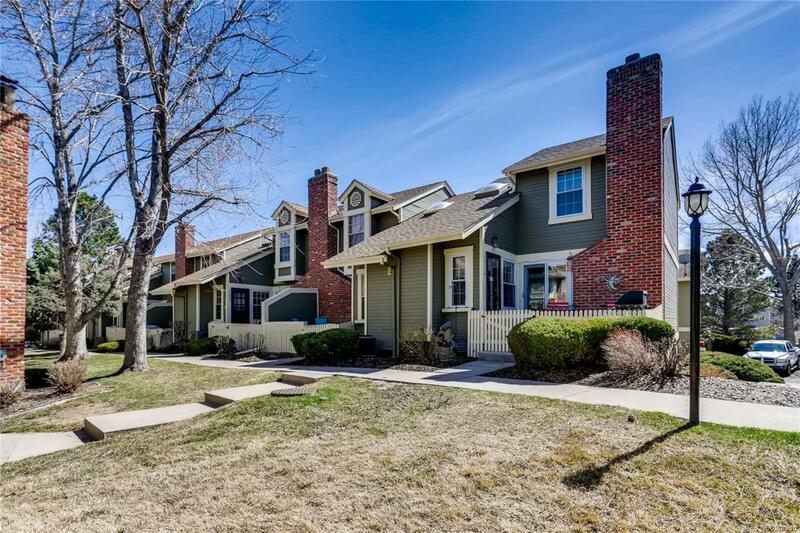 Excellent location close to parks, shopping, dining & nightlife.